When Kirk and McCoy are transported to the battlefields of Maryland in “Divided We Stand,” the latest episode from STAR TREK CONTINUES, they emerge in a distant time and very real gunfire. In fact, the use of uniformed reenactors proved to be a masterstroke. 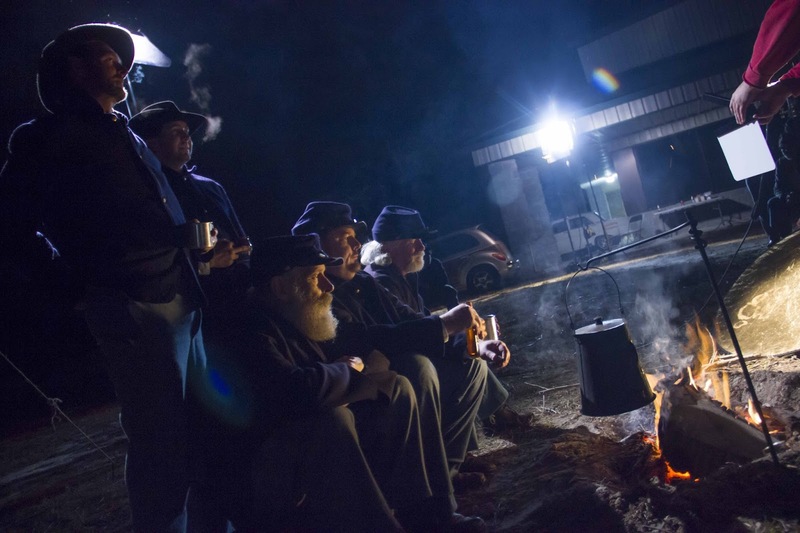 “Reenactors come with wardrobe, weapons, tents and other camping gear, and a wealth of knowledge on the subject matter. They are also already quite used to roughing it, and doing it authentically--they never had any need to get into costume or into character--they could be put on camera at any time. They're the next best thing to time travel,” said Jay Pennington, wore multiple hats in Episode V as Second Assistant Director, Location Coordinator, and Set Dresser. The passionate Civil War fans were ready for their closeup. “Reenactors and classic STAR TREK filmmakers have a lot in common when it comes to striving for a high degree of accuracy while also acknowledging perfection is impossible and practicality sometimes must win the day. They were quite eager to participate,” Pennington explains. “They weren't all necessarily that aware of STAR TREK, but they had participated in films and documentaries before and enjoyed having a contribution. 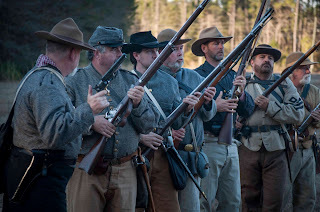 They were already going to be participating in the Olustee Battlefield Reenactment taking place a couple of days after we wrapped, so it was simply a matter of them starting their adventure a little early.” Mignogna asked Pennington to locate and contact the two dozen reenactors needed for the principal shoot. “We needed "featured extras" that we could choreograph in the actual scenes of the episode. Jay did an outstanding job,” Mignogna says. “I also asked Scotty Whitehurst, one of our production team members, to play Billy. He's a good actor and was perfect for that role. Jay asked if he could play a role and I happily agreed. Our First Assistant Director Chris White wanted to play a role as well, and so I had him play the sergeant who gets shot. And Chris knew an actor in South Carolina who he thought would be great for the old soldier, Blaque Fowler. He, as well as everyone else, really did a fantastic job,” said Mignogna. Even though it appears that the Civil War scenes were shot at Antietam, Maryland, most of the episode was shot near the Stage 9 studios operated by STAR TREK CONTINUES in southern Georgia. Vic-That was smart to use real Civil War re-enactment. Liked the Episode V gag reel too! We met at 2015 Houston comic con. I had the Enterprise F photo & specs. As a design engineer, I'll get your group tickets for the real Enterprise RPV demo flight for all the dedicated, inspired work. Can't wait for Episode VI. As a civil war re-enactor with the Missouri Irish Brigade, I enjoyed Ep V and cannot wait to see more of the series. At first I was a little leery at watching it, but I am now hooked and you guys did a good job.